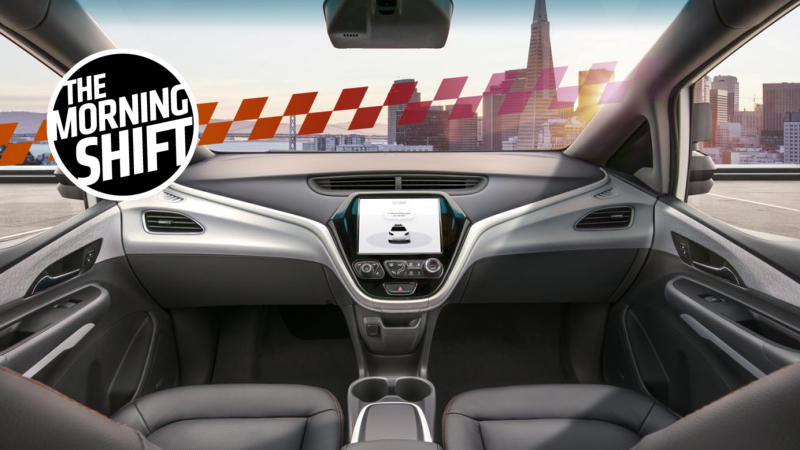 A couple months back we dropped the first look at General Motors’ fully-autonomous car that lacked steering wheels or a pedal, prompting literally some car enthusiasts to run for the hills screaming bloody murder. General Motors Co said on Thursday it will invest more than $100 million in two facilities as it prepares to build production versions of its Cruise self-driving car next year at its Orion Township assembly plant in Michigan. The feds haven’t responded to that petition yet, but I wonder if they’ll be paying attention to a story that was published by The Information this week on GM’s autonomous car program. President Donald Trump has been dialing up the trade war fervor to 11 as of late, implementing a 25 percent tariff on foreign steel, and a 10 percent tariff on aluminum (with some caveats). He’s also threatening Europe with a tariff on the cars it makes. But Trump’s promising to be “flexible,” and in that spirit (I guess), the U.S. is setting conditions for what it needs from Europe in return for scrapping the tariffs, according to Reuters. The European Union has been pushing for talks to avert a trade war since U.S. President Donald Trump announced he would slap tariffs on a raft of high-value European exports in retaliation for alleged steel and aluminium dumping. The conditions named by U.S. Trade Representative Robert Lighthizer at a Brussels meeting with EU Trade Commissioner Cecilia Malmstrom also included a promise that Brussels take measures against steel dumping from China and cooperate in a wide range of other trade issues, Spiegel reported on Friday. For years, Fiat Chrysler has been locked in litigation in Georgia over the death of a 4-year-old boy, Remington Walden, who burned to death after a Jeep Grand Cherokee he was riding in was struck from behind. The vehicle’s rear gas tank leaked, setting the vehicle on fire, before killing the child. The Jeep was among more than a million FCA vehicles with rear fuel tanks that were subject to a recall. The Georgia Supreme Court upheld the results of a wrongful death trial that hit Fiat Chrysler Automobiles NV with nearly $40 million in legal damages on account of a Jeep fire that killed a 4-year-old boy. We first reported in December that the UAW had accused Tesla of interrogating employees at its massive Gigafactory battery plant in Nevada over union activities. It had been the first time Tesla faced alleged labor violations at the Gigafactory, since employees at the automaker’s assembly plant in California went public with a union campaign. The unfair labor practice charge (ULP) accused Tesla by saying it has intimidated, surveilled and interrogated Gigafactory employees who’ve engaged in legally-protected union activities, a violation of the National Labor Relations Act. Based on that investigation, I have decided to dismiss the portions of the charge alleging that [Tesla violated the NLRB Act] by engaging in and/or creating the impression of surveillance of employees’ Union activities and subjecting an employee to heightened supervisory standards because of the employee’s Union activities because there is insufficient evidence to establish a violation of the Act. The NLRB also dismissed charges that Tesla disciplined or discriminated against an employee because of union-related activities. However, the claims that Tesla “orally promulgating a rule requiring employees to submit their workplace concerns solely to supervisors and managers and by interrogating employees,” remains subject to further processing, the letter said. Uber is now is negotiating a deal with Toyota, discussing the possibility of installing its self-driving system in a minivan made by the Japanese automaker. Shigeki Tomoyama, a Toyota executive vice president, and Gill Pratt, who heads the automaker’s artificial intelligence development base in Silicon Valley, met with Uber CEO Dara Khosrowshahi this week at Uber’s research and development center in Pittsburgh in the U.S. state of Pennsylvania. Eric Meyhofer, head of Uber’s advanced technologies group, said the system centrally processes data from cameras, sensors and lidar, a type of technology that measures distances using laser pulses. The system can be installed after sale in ordinary vehicles and enables automated driving, except under emergency situations. The partnership isn’t entirely a surprise. At this year’s CES conference, Toyota announced it was teaming up with Uber as part of an effort to jump into the AV space. In particular, Toyota wants to build an autonomous boxy pod thing by 2020. Maybe this new Uber partnership is a way to make that happen. GM’s spending $100 million to build AVs that might not be ready for the primetime. Trade war hoopala. Toyota’s working with Uber on self-driving cars. What’s fun out there today? It’s Friday after all.